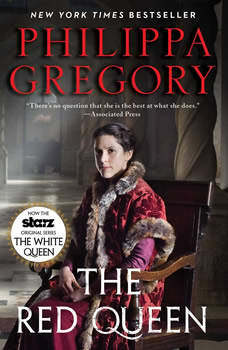 The second book in The Cousins’ War series by #1 New York Times bestselling author Philippa Gregory, The Red Queen moves to the Lancaster side, in a story of a determined woman who believes she is destined to shape the course of history. Believing that her piety and lineage has destined her for greatness beyond her ordinary looks and expedient marriage, Margaret Beaufort is determined to see her son Henry on the throne of England—regardless of the cost. And after constant battles kill any other claimants, the little boy is the last Lancaster male to bear a claim to the throne.Sending her son out of the country to keep him safe and betrothing him to her enemy Queen Elizabeth Woodville’s daughter, Margaret feigns loyalty to King Richard III and marries one of his faithful supporters—all while laying secret plans for the battle between the houses of York and Lancaster that will see her son the King of England.When King Richard’s only son dies, Margaret launches her plan with a deadly command that strikes to the heart of the White Queen. Henry Tudor invades from France and with the support of Margaret’s husband, defeats the King’s army, gaining the throne and sealing his marriage to the White Rose princess. The ultimate triumph belongs to Lady Margaret; she has founded the greatest dynasty that England will ever know: the Tudors.